Kulfis have been my favourite ever since I was a child. As a child when I used to go out shopping with my mother, I would ask for a 5 or ten rupee note from her and would start looking for a ‘kulfi-wala’. 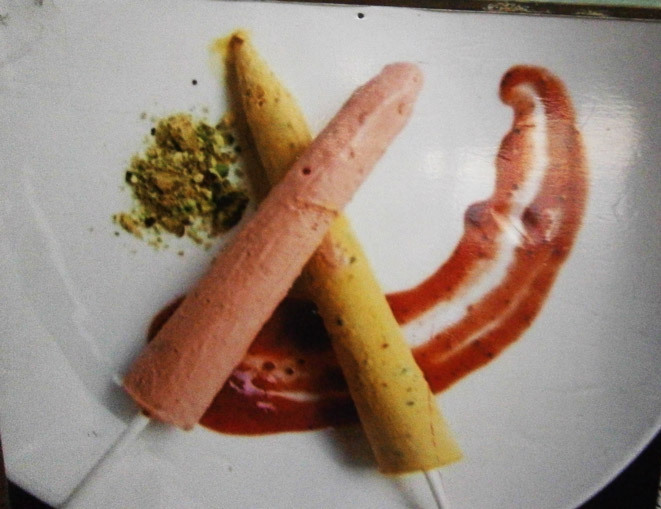 My love for kulfis lingered on till this day and so when I spotted Kulfiano the other day when I was in Amar Colony – Lajpat Nagar, I could not stop myself from stepping in and delighting my taste buds. 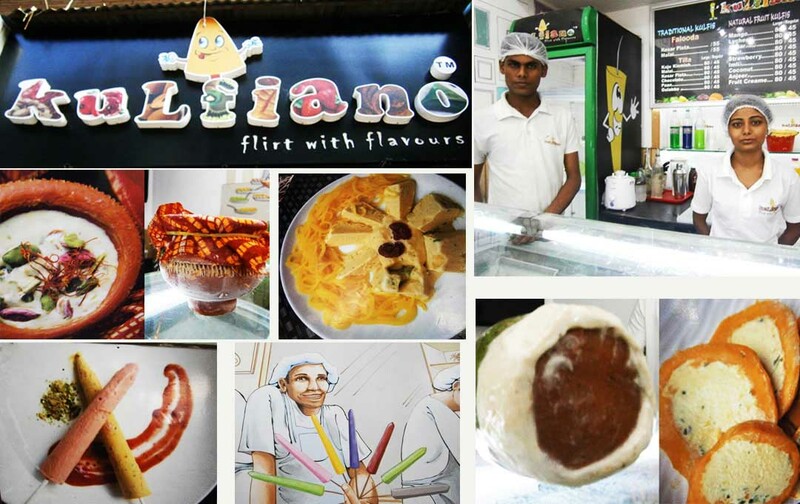 Kulfiano is the place you should visit if you want to savour kulfis made from fruits. 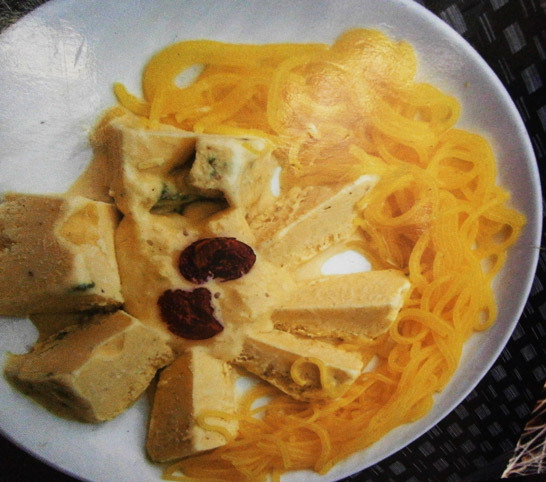 Kesar and pista kulfis are a commonplace with any kulfi vendors you frequent; but Kulfiano serves you with many different flavors which you would love giving it a try. 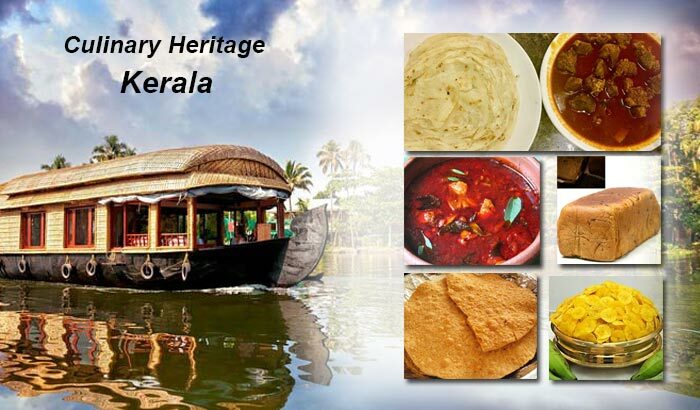 Besides Kesar and pista, this place has flavors that range from mango, kiwi, coconut, strawberry, anjeer, cheeku, lychee, imli, Malai, jamun, black current, paan and many more. 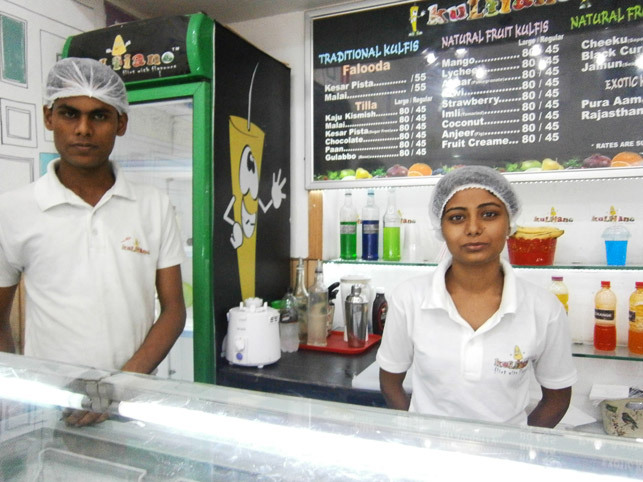 For customers who prefer having sugar-free stuff, Kulfiano has got a sugar-free Kesar pista flavor in its menu. 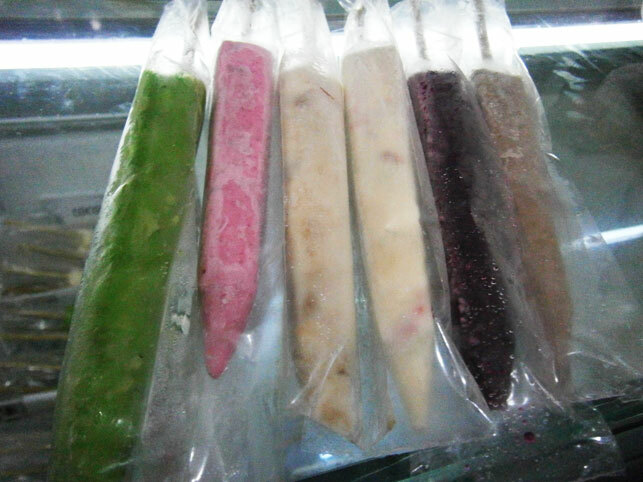 However the most popular is the paan kulfi that is made of extracts of paan (betel leaf), gulkand and milk. 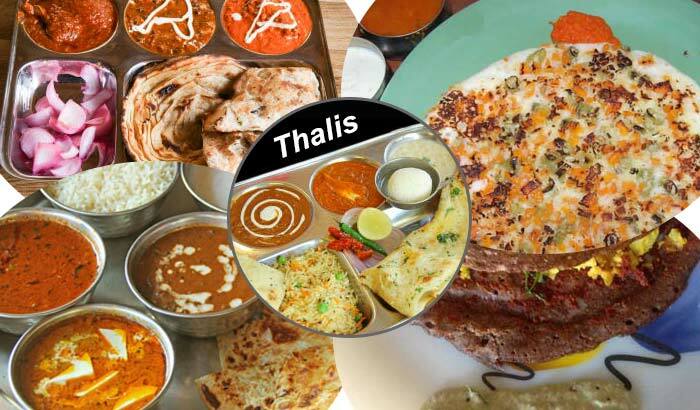 It has around 20 flavors that come in a tilla (stick). 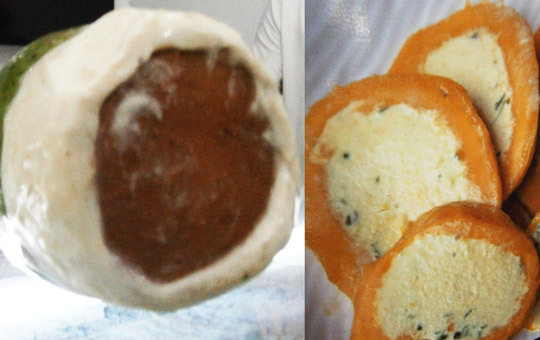 What sets these kulfis apart is that they are made up of natural pulp and it ensures to make its flavors as unique as possible. I did take some time to decide when I was asked which flavor I would like to try. The variety presented before me did tempt me to try everything, but then I had to choose one. Mango being my favourite, I picked up mango kulfi and it tastes awesome. 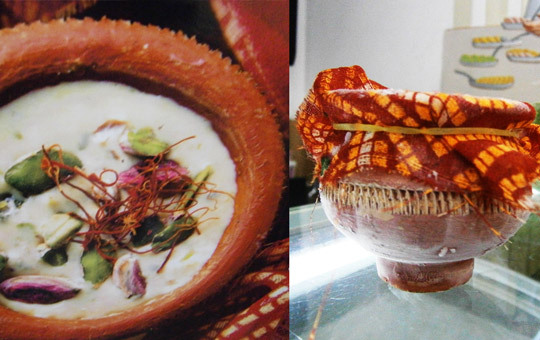 Rajasthani Matka Kulfi and Pura Aam Kulfi are also some of the favourite among its regularly visited customers. 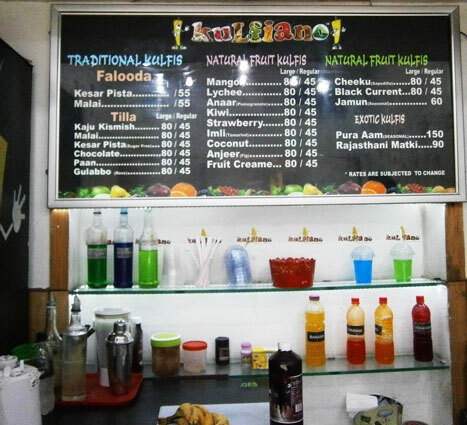 Kulfiano has newly added shakes and mocktails to its menu. Virgin Mojito is one of the most popular drinks in mocktails, while in shakes, the popular ones are apple, kiwi and mango. 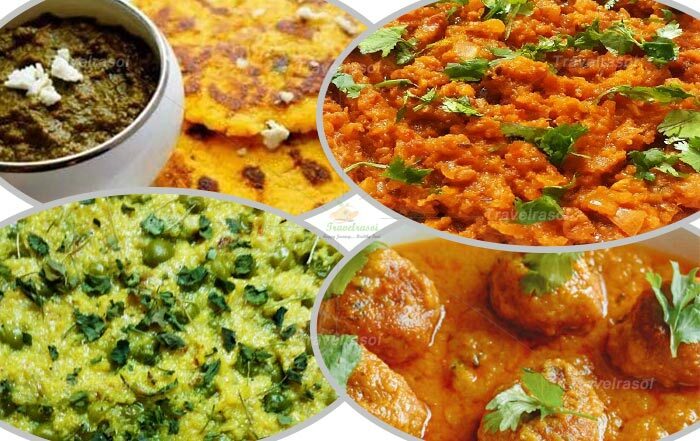 Besides amar Colony, Kulfiano also has its branches in Defence Colony, Hauz Khas and Janakpuri. Share the post "Kulfiano – Getting the best out of Natural Pulp"